Here’s an easy (and healthy) alternative to fried tortilla chips that I like to serve as an appetizer. I had been buying plantain chips at Trader Joe’s until my recent Whole30 challenge, when I tried to make as much of the food I consumed as possible. Plantains were on the approved food list, so I figured they must be simple enough to make. As it turns out, that is true. I just did a quick search online and found instructions. I have served these topped with shredded pork or chicken (I’ll post recipes for those soon), but they also are good served with goat cheese or a dip such as salsa or guacamole—or they make a satisfying salty snack all by themselves. 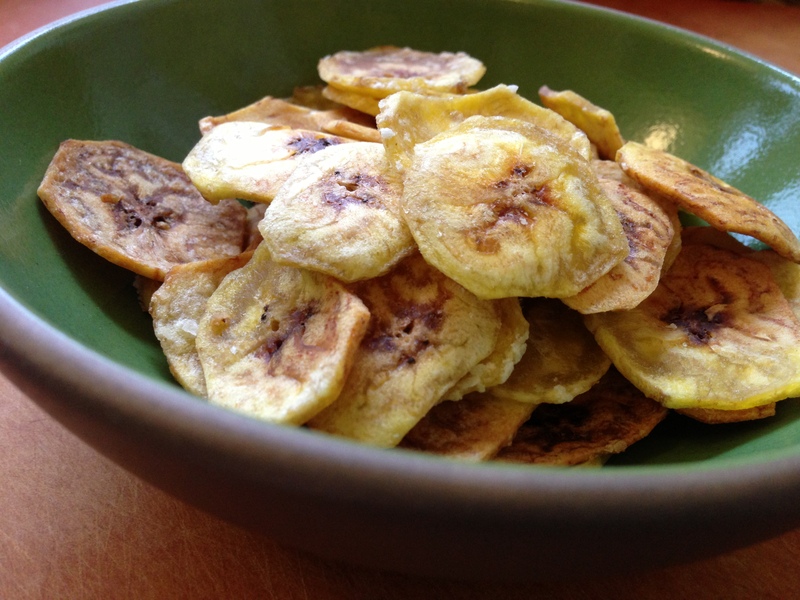 Peel plantains and then use a mandoline to slice them 1/8 inch thick. Then toss with enough olive oil to lightly coat them—you don’t want them swimming in oil. Spread slices in a single layer on a cookie sheet, then sprinkle generously with kosher salt. 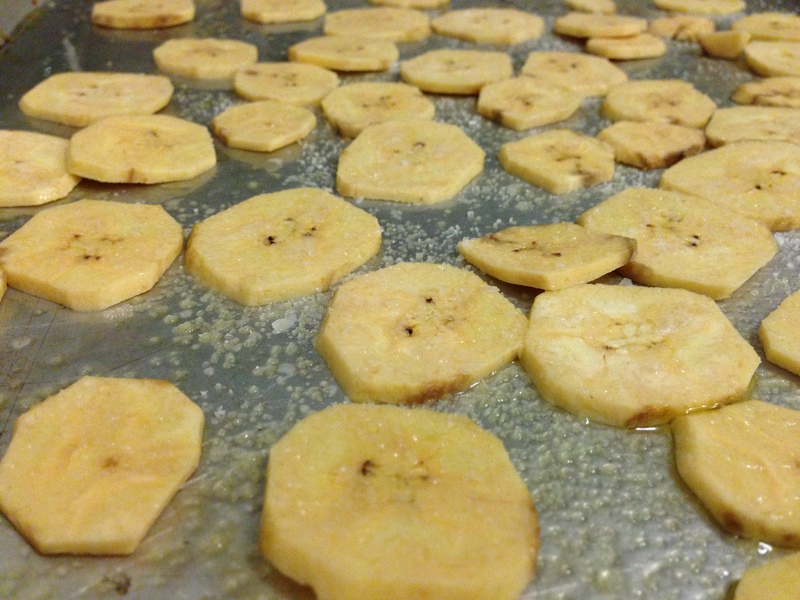 Tina’s Tip: I always try to reduce the number of dishes I have to wash, so I actually pile the plantain slices on a cookie sheet with an edge and toss them in the oil on the sheet. Then I just spread them into a single layer and sprinkle with salt. Bake for 15 minutes, but watch closely, as the chips can burn quickly, and oven temperatures vary. When chips are done, they will be a nice golden brown. This entry was posted in Appetizers, Recipes and tagged Fruit, Snacks, Vegan, Vegetarian. Bookmark the permalink.